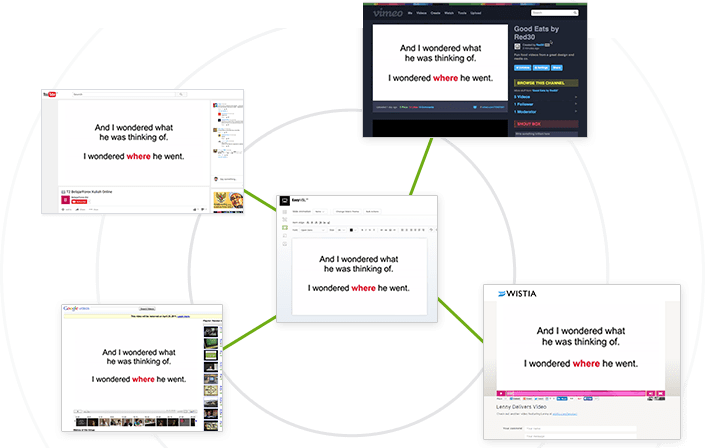 Automatic slide creation Paste in your text and let EasyVSL generate slides for you automatically, eliminating the need to manually enter content slide by slide. V3.0 IMPROVEMENT Even easier with per-line or “tick” control. Custom slide background themes Pick a color, gradient, background image, or custom layout, and get a gorgeous background for your presentation in just seconds. V3.0 IMPROVEMENT Now with a Library of Over 75 Templates.Dozens of Custom Fonts Choose from dozens of high quality, beautifully engaging fonts already pre-loaded within the software. Insert Existing Video Clip This is perfect if you’re wanting to insert a demo of your product, in-front of the camera video, or any video you can dream up. V3.0 IMPROVEMENT Now you can click and drag video clips into the editor.Speech-to-Text Video Creation Simply "talk" to EasyVSL and it will automatically convert your speech to text when creating each video slide. 1-Click Translation Marketing to several different countries? Instantly translate your text using our built-in translation tool. In just a few minutes, you can create multiple videos, specific to the language of your choice! 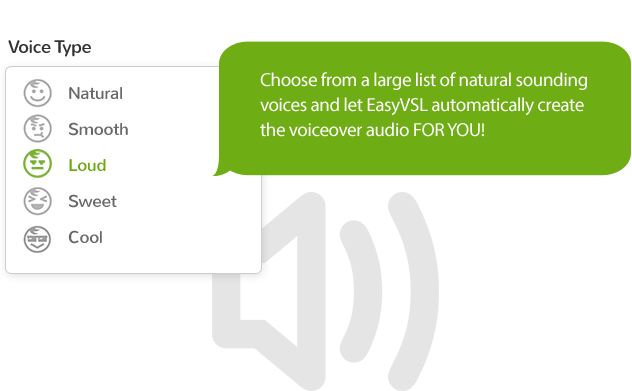 V3.0 IMPROVEMENT Text-to-Speech (TTS) Chose one of our natural sounding voices to read the text on each of your slides, creating an audio file that can be used for your EasyVSL video. V3.0 IMPROVEMENT Easier to record and edit your audio.1-Click Video Syndication Now you can publish to popular video sites like YouTube, Vimeo, and many others from directly inside the application. V3.0 IMPROVEMENT Added control and privacy when uploading to 3rd parties. Quick Key Shortcuts Work your way around EasyVSL much faster and more effectively using Quick Keys. Quick Keys are keyboard shortcuts that allow you to do things like Undo/Redo, Copy, Cut, Paste, Bold, etc... directly from your keyboard. V3.0 IMPROVEMENT Additional quick key shortcuts to work fast inside EasyVSL.Export Slides to PDF Presentation Now you have the ability to export your EasyVSL slides into a PDF, so you can share them with others or use for a presentation. Timeline EditorOur intuitive timeline editor makes it super simple to create and produce a ready to go, high converting sales video in minutes. Multi-Layer Multi-Layer Now you can add/import multiple audio and video layers directly inside of the timeline. Audio Volume Control:Easily adjust the volume level inside the timeline, without having to use a 3rd party audio editing program. Misc Enhancements including Timeline Snapping, Zoom-in/Zoom-out, and ability to make instant cuts in your audio/video files. Features Released in EasyVSL Version 3.0!“Kinetic” Style Videos NEW In the last few years, kinetic typography style videos have exponentially increased in popularity. Why? Because they're instantly engaging for the viewer and draw their attention for longer viewing times. NOW - EasyVSL can create them for you in just minutes! Created from Start to Finish in UNDER 60-Seconds! Get Your Discounted Copy of EasyVSL v3.0 Now!